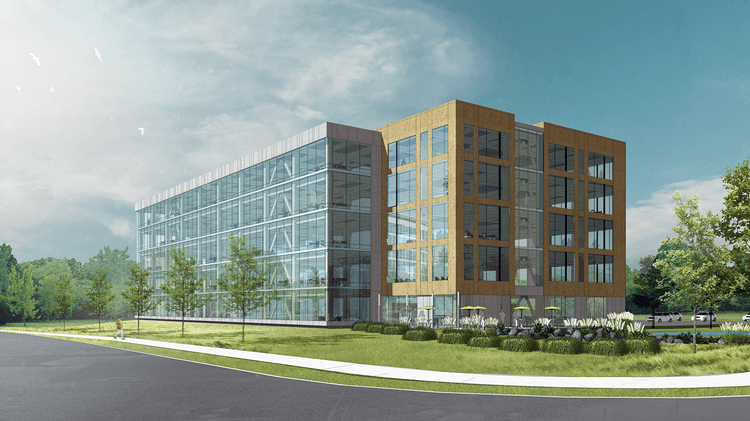 Equus Capital Partners is proposing to develop a five-story, 145,000-square-foot office building at the corner of Swedesford Road and Old Eagle School Road in Tredyffrin that will be a little unconventional. It will be made using mass timber. Not only that, it will be built on speculation with no tenants lined up to fill the space — something seldom done with an office building because of the risk involved with such an undertaking. The idea to use mass timber as one of the main elements in the building came from Equus’ new headquarters at Ellis Preserve in Newtown Square. A range of materials were used in the building including reclaimed wood from a project Equus is doing in Reading. D2 Group designed that building and is designing this proposed building. Mass timber is making headway as a material architects are using with more frequency in the design of commercial projects because of its aesthetics and sustainability. It’s so new that few states and municipalities have building codes that take into account the material. Among the biggest issue that crops up is the safety of the material especially when it comes to being a fire hazard. Mass timber is different from stick-built construction commonly used in buildings. While there is no specified dimension for mass timber, the beams are typically very thick. The American Wood Council along with the International Code Council’s committee on tall wood buildings have conducted several tests on mass timber structures and found “promising results” that it is a slow burning material. Baumann also noted this will be the first new, ground up office building in the township in three years. The last one that was developed was a 45,000-square-foot building in the Atwater Corporate Center for IFM Efector Inc.’s headquarters. The 10-acre site where Equus plans to develop the structure has been slated for an office building for the last three years by another developer who proposed a five-story, 240,000-square-foot building. That never came to fruition. Equus will begin the approval process this fall with expectations to break ground in May. Article originally from Philadelphia Business Journal, written by Natalie Kostelni. Nave Newell completed an ALTA survey of the property, prepared several sketches and conceptual stormwater management for this project. 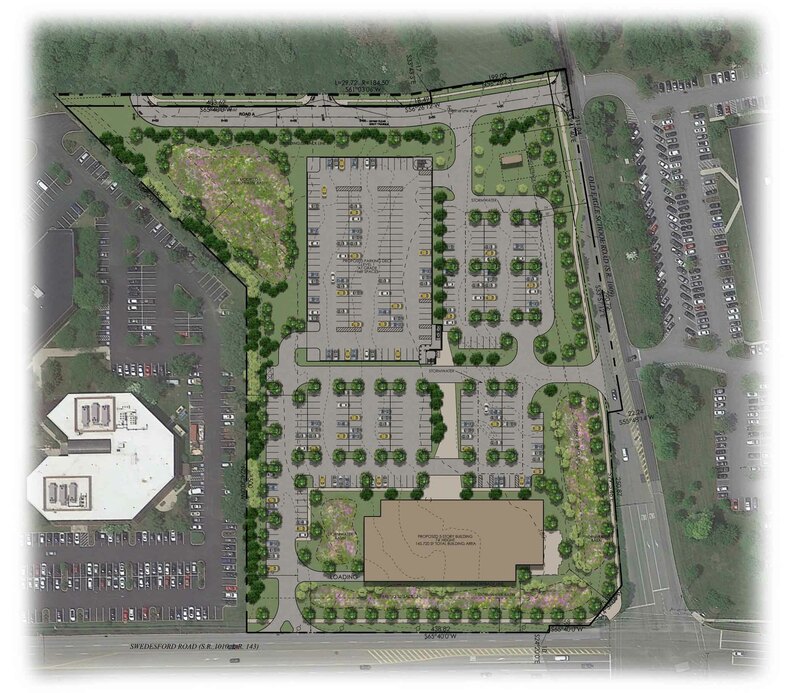 Site rendering (below) by Nave Newell.